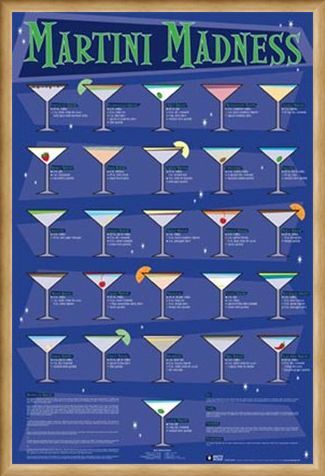 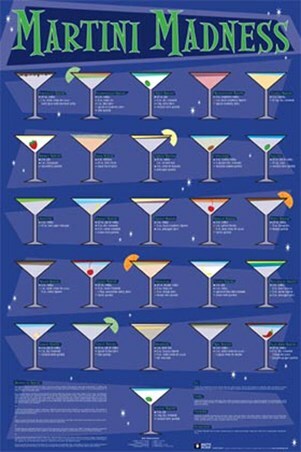 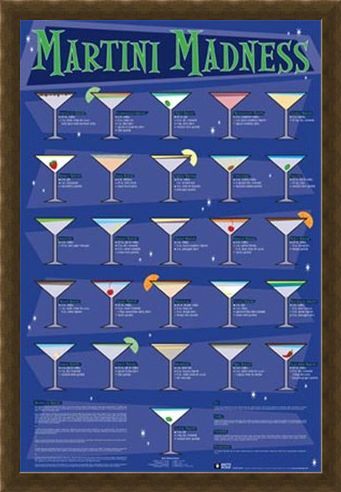 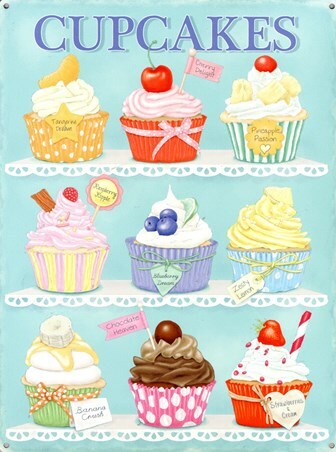 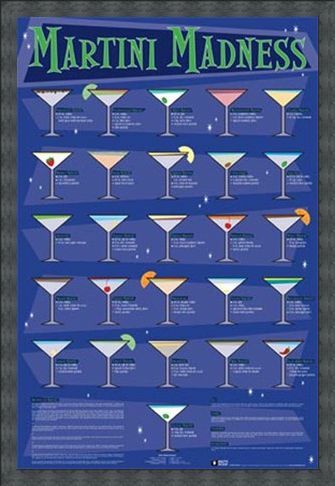 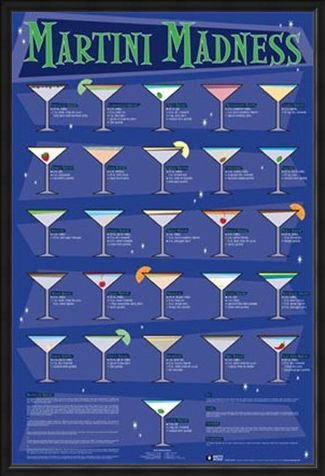 Food and Drink Maxi Poster: Whether you consider yourself a worldly Martini master or an alcoholic apprentice, this brilliant maxi poster is the perfect way to perfect your skills behind the bar. 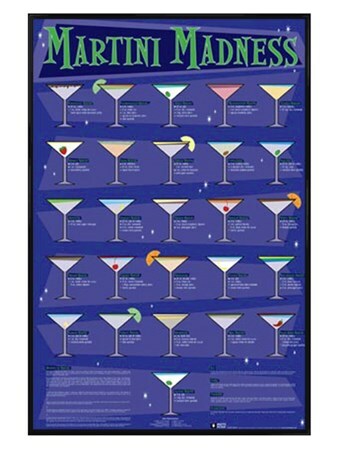 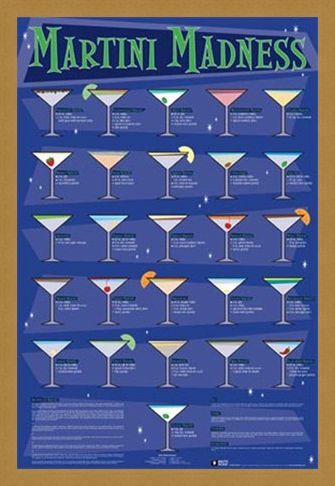 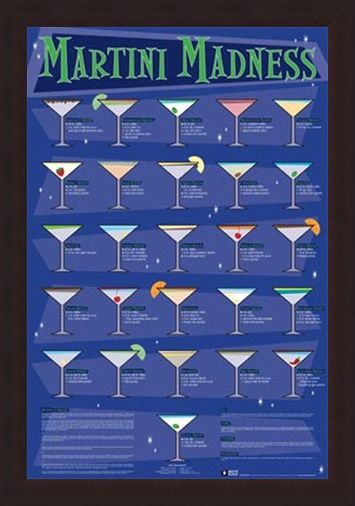 Focusing on one of the most iconic drink types in the world, this Martini madness maxi poster will introduce you to a wonderful world of wild concoctions. From the classic Martini with 3oz of gin, 1 teaspoon of dry vermouth and a cocktail olive garnish to the sensational Slow Burn Martini which includes 2 1/2 oz. 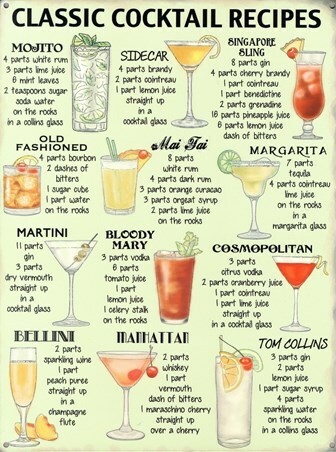 of vodka, 1/2 oz. 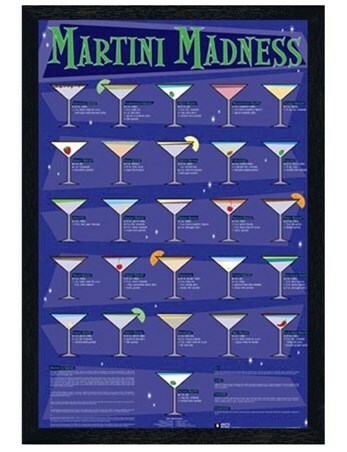 of dry vermouth, 5 drops of hot sauce and a jalapeño pepper garnish, this mouth watering poster is perfect for the enthusiastic drinker. 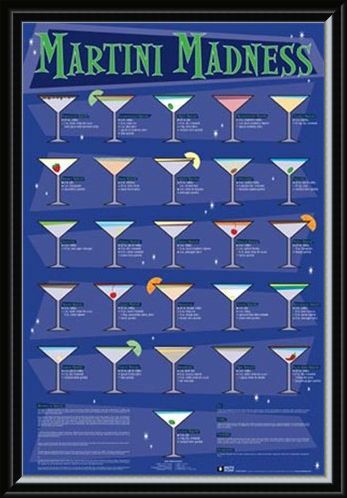 High quality, framed Martini Madness, Classic and Contemporary poster with a bespoke frame by our custom framing service.